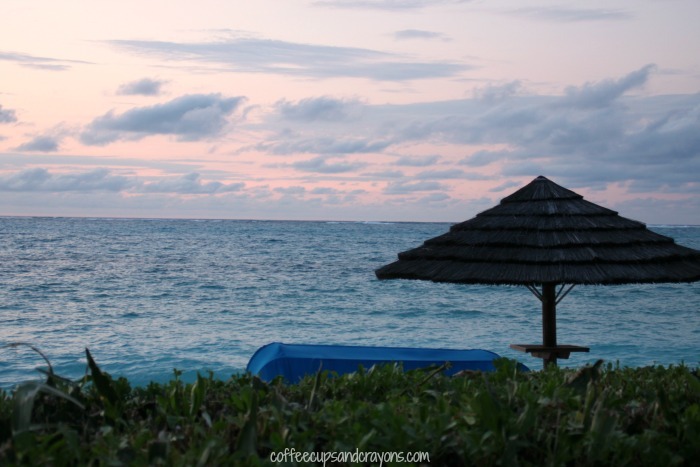 We spent 5 nights at Beaches Turks and Caicos last month and it was absolute paradise. I could not stop talking about how stunningly turquoise the water was the entire trip, but it wasn’t just the location that made it feel like paradise. It was the feeling you had the whole time you were there–like everything and everyone was completely taken care of. 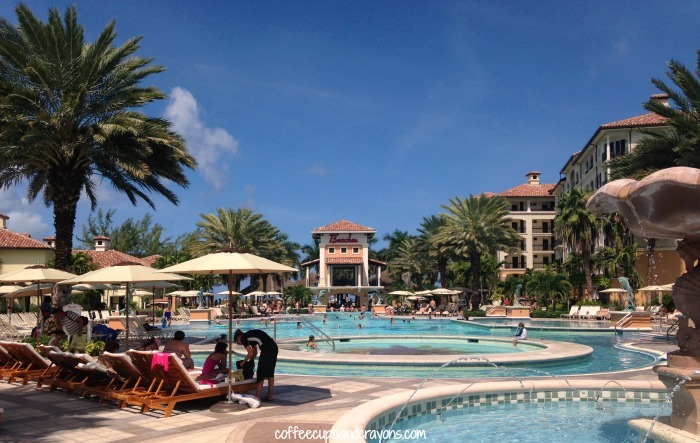 We went to Beaches Turks and Caicos to attend the #BeachesMoms Social Media on the Sand conference. We loved it so much we added an extra night to our vacation while we were there. We just could not leave. It was my first time even doing an all-inclusive style family vacation and I was honestly surprised at how much I enjoyed it. I had envisioned all-inclusive as a great way to prepay for your vacation, pay once price and get X, Y and Z on your trip. 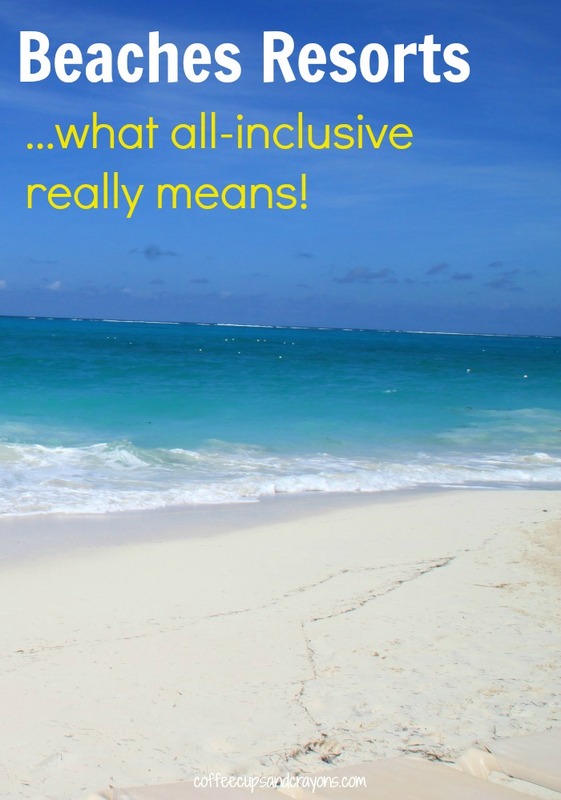 At Beaches Turks and Caicos I discovered that all-inclusive is more than having your food and drink included in your price–it was having everything taken care of and handled for you so you could spend your energy on your family. It was nothing like I’d ever experienced before. It started with the staff, every employee we encountered stopped and smiled and welcomed us even if we were just passing by. Every single one. And their enthusiasm was contagious. If you needed anything at all there was always someone nearby to help, this level of hospitality is luxurious when you are traveling alone, but to have that kind of enthusiastic help when traveling with kids was intoxicating. It seems like everyone is talking about inter-generational travel these days and for good reason. We all want to be able to relax and get away with our families. At Beaches Turks and Caicos there really is something for every member of the family to do and enjoy no matter their age. First, the beach. Oh, the beach. It was stop-in-your-tracks and stare gorgeous. I could write a poem about it I loved it so much. Needless to say if you are a beach lover then you will not be disappointed. If the beach isn’t your thing the pools (and the pool bars) are equally amazing–zero entry, certified life guards, and in a variety of sizes and locations. My kids loved the idea of ordering icy drinks in the middle of the pool. Such a fun vacation treat! Pirate themed water park with a kids-only swim up bar, a surf simulator, a lazy river, huge water slides and more. Club Liquid teen dance club with live DJs. Volleyball, croquet, life size lawn chess and lots of other land sports and activities. An XBox 360 game lounge. Age grouped kids camps with trained professional nannies. 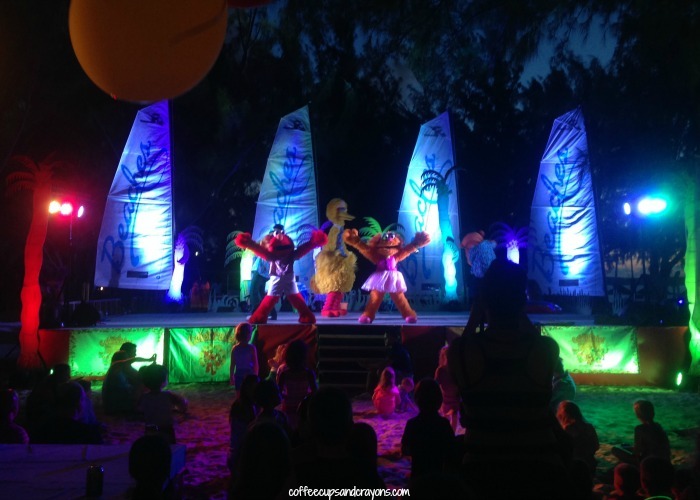 Sesame Street parades, live shows, beach parties and daily entertainment for both kids and adults. At Beaches all-inclusive includes all food and drinks at the resort. If you want to eat 6 meals at 6 different restaurants you can. And when you first arrive you may be tempted to do just that! They have a Culinary Concierge that can help make sure all food meets any dietary and allergy needs and a variety of food styles to appeal to different palates. Vacation is a great time to encourage kids to try new foods, especially when you know if they don’t like it you can easily get something else. They have 18 restaurants to choose from including some that are adult only if you are traveling without your kids or want a date-night (you have access to a included childcare until 9pm each night.) We were big fans of the food and tried to eat everywhere while we were there. Each restaurant has it’s own charm with many of them right on the beach. Our favorite was Mario’s and my kids are still talking about how much they loved it. If you don’t finish your meal you can usually get the rest to go, but most of the restaurants don’t do traditional take out. If you want to eat in your room stopping by and getting food from Bobby Dee’s or Cafe de Paris may be your best best. If you have dietary restrictions let them know at least a month beforehand so they have time to make sure everything you need is on the island. Top shelf liquor, beer and Beringer wine is included for adults. If Beringer isn’t your favorite you can get different wine, but you will need to purchase it at an additional cost. Beach toys and pool floats are available to purchase in the resort gift shops if you don’t have room to pack yours! Fall is the best time to find deals on rates and airfare so that may be worth checking into if you are looking to save money. 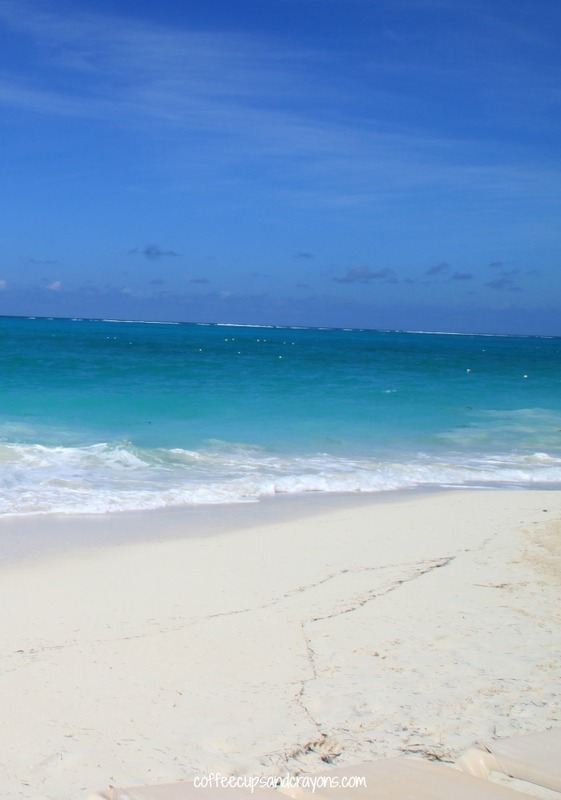 For more information on vacationing at any of the Beaches locations visit their site. You can also follow them on Facebook and twitter to stay up to date on the latest news and specials. Disclosure: We stayed at Beaches Turks and Caicos at the reduced conference rate, but they in no way sponsored this post. All thoughts and opinions are mine and my family’s alone. Would you choose this all inclusive resort or Atlantis for a family vacation?